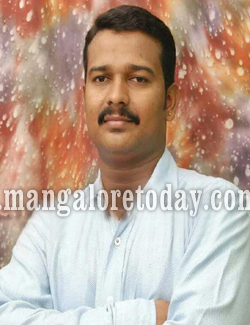 Bantwal, May 11, 2015 : A village accountant of Thumbay has been found dead in a lodge in Mangaluru on May 10, Sunday. He is suspected to have committed suicide by consuming poison. The deceased has been identified as Chidananda (33) of Mysuru. Police have found a six page death note in the lodge room and as per it he has committed suicide owing to personal reasons. The death note reportedly states that he was facing problems owing to depression and that an astrologer’s prediction that his son would die soon had forced him to end life. The note also revealed that he wanted his son to be an engineer which could not be realised if the astologer’s prediction came true. Chidananda had been serving the Revenue Department since 2006 and lived with his wife Chaitra and son Samrudh at a rented house in B Mooda village. It is learnt on May 8, Friday he had told his friend Shivappa that he was going to Mysuru but surprisingly a day later his body was found in a lodge in Mangaluru. In the death note Chidananda has asked his family to give his wrist watch to his friend Shivappa. Local police are investigating the case.